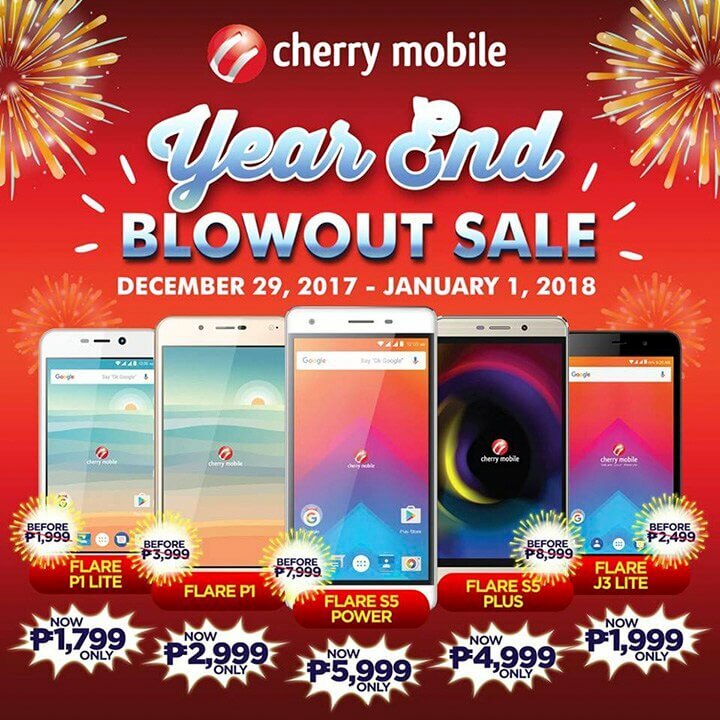 Cherry Mobile is ending 2017 with an exclamation point! The local mobile manufacturer has announced its Year End Blowout Sale, wherein consumers can save up to PhP4,000 when they buy one of the brand’s smartphones. Through the promo, they can now get the Flare P1 Lite, Flare P1, Flare S5 Power, Flare S5 Plus, and Flare J3 Lite at more affordable price tags. The Year End Blowout Sale will happen this December 29, 2017 to January 1, 2018, and will be available at any Cherry Mobile stores and kiosk nationwide.